Eric Edwards is a graduate of Monmouth University, where he earned a Bachelor of Science Degree in Bio-Chemistry. After a brief stint in his field of study, Eric joined Prudential Financial and rose to the position of Sales Manager before joining Tomorrow's Financial Services, Inc. in 1996. Eric has enjoyed a prolific career as Senior Private Wealth Advisor for TFS Wealth Management. He now holds the position of Executive Vice President for Tomorrow's Financial Services, Inc. In addition to managing his boutique Wealth Management practice, Eric is responsible for management, training, supervision, branch development, and broad oversight of all TFS affiliated companies. For nearly 30 years, Eric's priority has been helping clients work towards a confident financial future, delivering guidance and advice towards the achievement of their financial goals in any economic climate. Eric takes the time to understand the financial needs of each client and their family. This comprehensive approach enables him to develop a tailor-made strategy that best meets his clients' short- and long-term objectives. Eric is passionate about sharing his knowledge, often speaking to diverse groups about the importance of financial planning and wealth management. He loves helping individuals and families devise strategies to help grow and protect their assets. Eric holds the FINRA Series 6, 62, 63, 65, 24, & 79 registrations. 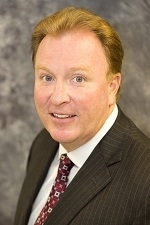 He holds Insurance Producer licenses for Life, Health, Property & Casualty, and Annuities in NJ and many other states. Eric has been awarded the Five Star Wealth Manager for 2018 and wrote a book titled “Retirement Investing”. A resident of the Jersey Shore for more than 38 years, Eric is married to his wife Gail for the past 33 years. The father of two children and grandfather to one, Eric enjoys spending time with family, exercising, boating, traveling and dining out. He also dedicates his resources to support Fulfill for Monmouth and Ocean counties, the International Multiple Myeloma Foundation and various community youth organizations.